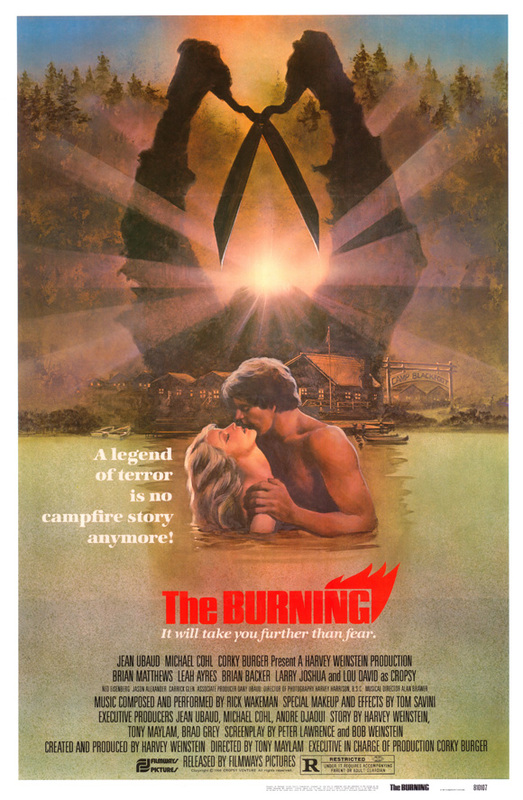 We continue this summer horror series than with The Burning. Plot: 5 years after being horribly disfigured by a fire caused by a group of campers, summer camp undertaker Cropsy returns to take revenge the only way a summer camp serial killer can: with a pair of gardening shears. 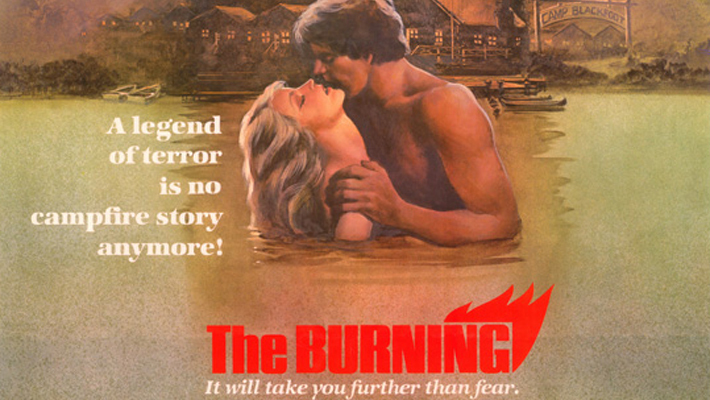 Critique: The Burning is nothing great as a film. It doesn’t play into some thrilling realization about the human psyche, or have gripping, emotive actors, or a decent plot, or even very good special effects. This movie is about a disfigured guy stalking a bunch of campers. That’s it. You know who the killer is right away. He only uses gardening shears (except once, when he uses scissors, which is just a dainty version of gardening shears), so the kills aren’t very creative. Even the jokes are bad, and not just because Jason Alexander hadn’t found his niche as the awkward funny-man. Still, the movie is so bad, and has so many ridiculous actors that went on to do even more ridiculous work, that it deserves the stamp of a cult film. The remains of a burned-down camp look eerily like the remains of an old, decaying military bunker that producers probably found “really cool.” Canoes and rafts don’t seem to move when people are paddling. There is a slo-mo shot of a girl running in softball instead of real T&A. The killer looks like a guy with wax on his face. All of this sets up a great, cult B-movie. Scene of Awesomeness: The rafting trip slaughter. It’s not really that awesome, but it brings about the largest body count, so it’s awesome by default. Scene of Ridiculousness: When the group’s canoes are nowhere to be found, Todd decides that they have to build a raft. Michelle, thinking like the rest of the audience, states that they could just walk back to camp. Todd says that would take forever. Yes, foraging for materials, building a raft from scratch, and finally paddling up-river would clearly take less time than walking back. Actors/Actresses of Note: Who isn’t notable in this movie? The horrible wise-cracking Dave is a young Jason Alexander, aka George Costanza in Seinfeld. 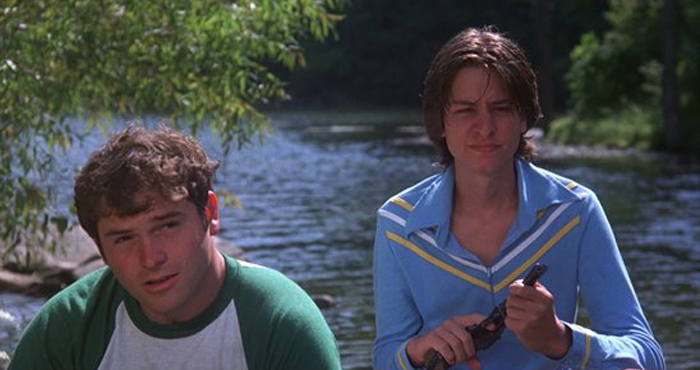 Peeping Tom Alfred is Brian Backer, better known for his roles in Fast Times at Ridgemont High. Michelle, played by Leah Ayres, is probably even lesser-known as the hot journalist in Jean-Claude Van Damme’s Bloodsport. The real gem of an actor, however, is Woodstock, played by Fisher Stevens. Stevens is best known for his work in brown-face when he played Ben Jabituya, friend of Johnny Five in the Short Circuit series.